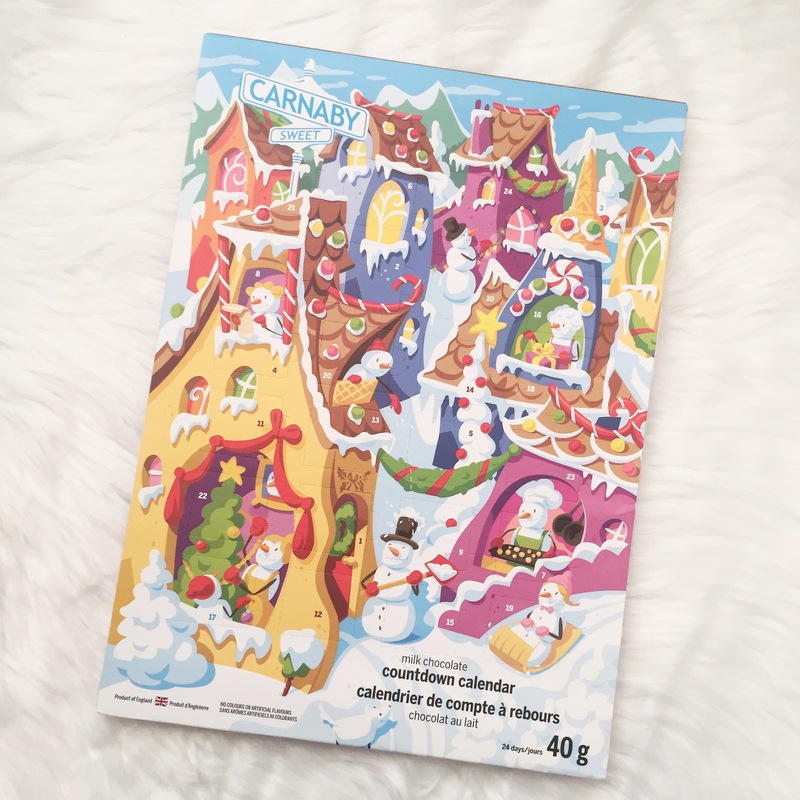 Living in Canada, today is officially December 1 for me, although I’ve been in Christmas mode pretty much since early November, today means I can finally open my advent calendars! This year I wanted to do something special and share with you all the goodies in my calendars as I open them each day. I have some pretty fun ones to open this year and I’m excited to get started! Although it may be tempting to open them all at once, as a kid, there has always been something special about opening each one daily until Christmas. And I’m talking about the chocolate ones when there weren’t as many calendar varieties then, there was still something very special about it. Carnaby chocolate – How cute is the print on this!?!?!? 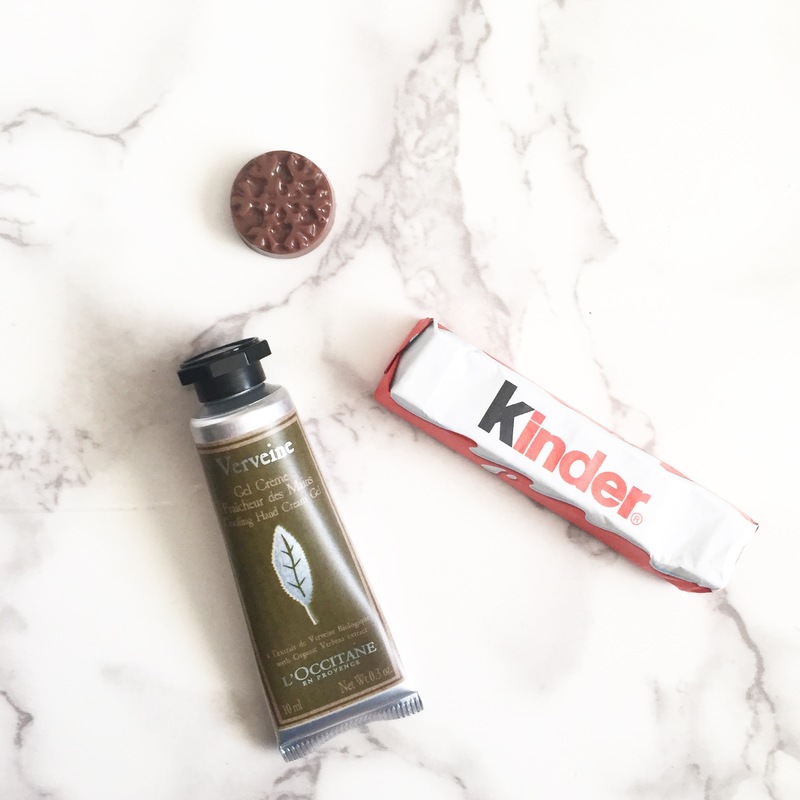 Kinder – my favourite chocolate as a kid! If you like the different types of Kinder chocolate, make sure to get the one I’m about to show you. There are other versions that only have 1 type for all 25 days, and can easily be confused with this one. 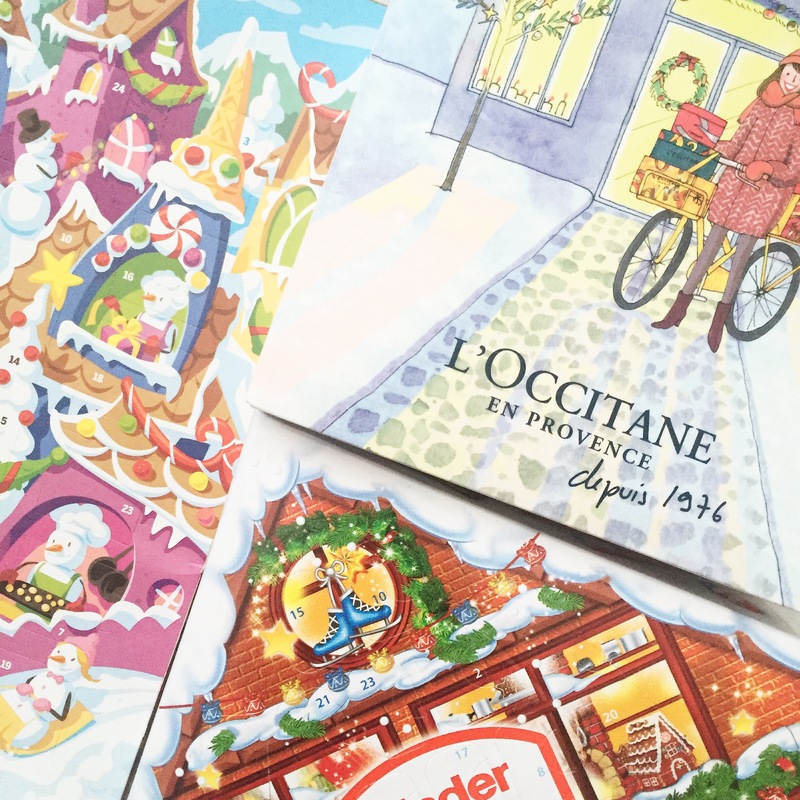 L’Occitane – I feel so spoiled to be gifted this calendar from the team at L’Occitane this holiday. Thank you again so much! I love and use their face creams + hand lotions and can’t wait to see what they have planned for this year’s calendar. I’ve heard very good reviews so far from people that opened them all already lol! Can we take a moment to appreciate this print and packaging!?! Paul & Joe – I’ve fallen in love with this brand for a little over a year now, so when I heard they were doing their first ever advent calendar, I had to order it from ASOS! Unfortunately it hasn’t arrived yet in time for Dec 1, but I will include pictures once it arrives! There are a few notable calendars I was not able to get a hold of this year, such as Diptyque and Jo Malone’s gorgeous calendars. Living in Canada, it has been difficult over the years to find fun calendars in stores or online. The States and especially UK had quite a few I wanted this year, but doesn’t ship to Canada. Hopefully next year we’ll get more options here 🙂 I’m definitely very happy with what I currently have though! I opened the wrong one for my Carnaby choco calendar yesterday. I got day 2 and 3 mixed up haha! Yesterday (day 2) was supposed to be the Santa hat you see in today’s photo, and today (day 3) was supposed to be the Gingerbread man you saw yesterday, oops! Just look at this chocolate elf!! Too cute! The best goodies for the last day of advent!